Already a well-established Bangkok restaurant, Roast approached us with the need to prolong its maturity stage and support its brand expansion. Their flagship Thonglor branch was being relocated to the new community mall The Commons while they were also opening another branch at EmQuartier. Our objectives were to reconnect with their existing fans, maintain a vibrant online community, and drive traffic to the new branches. Facebook blue and grey level verification authenticating our official pages and boosting their Facebook search results ranking. Facebook multi-location setup directing customers to the two branches. Social media consolidation making it easy to navigate through the different platforms. Once the setup was complete, we began raising awareness of the new branches at The Commons and EmQuartier through page likes and local awareness advertising. 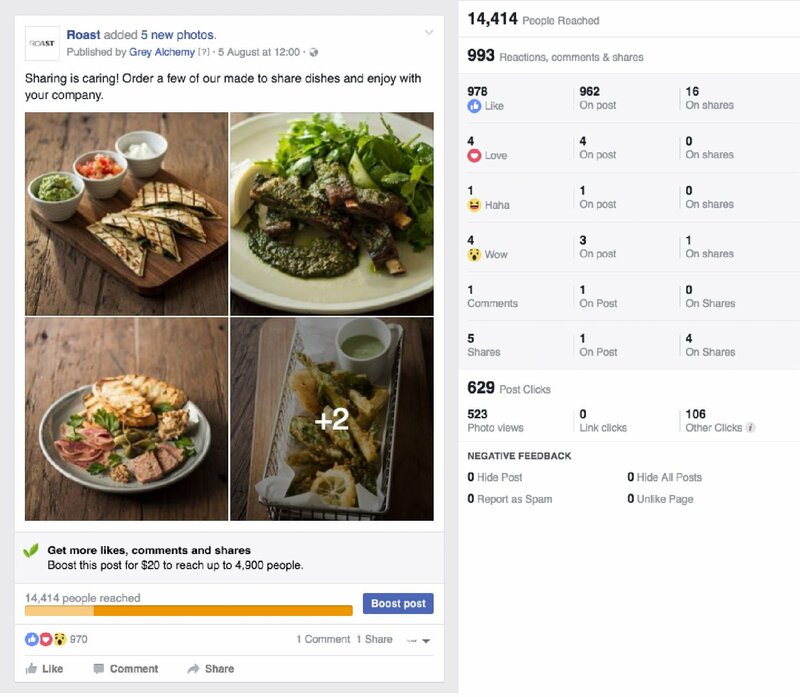 Our ad campaigns were directed to specific target groups such as Roast’s existing fans, foodies, affluent local residents, as well as other socio-demographic profiles. 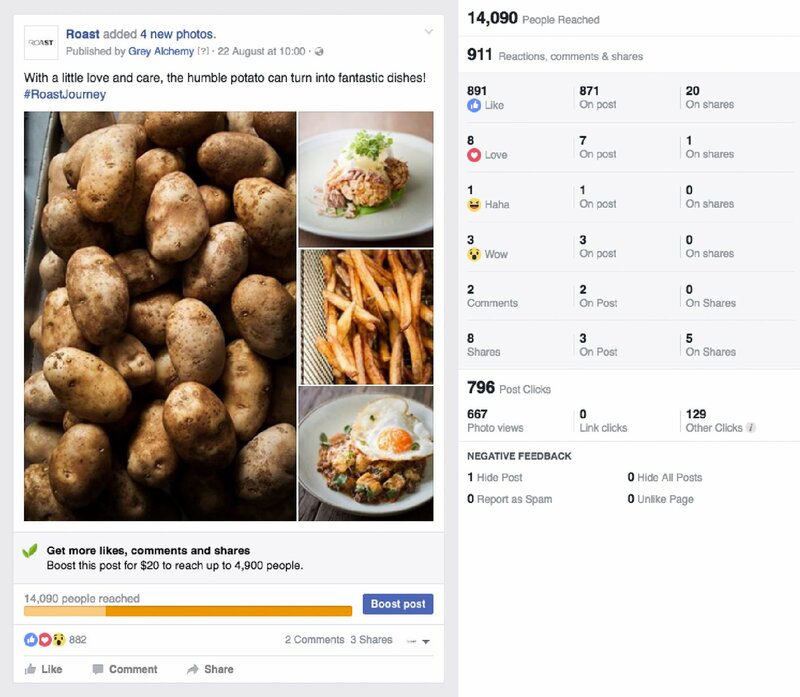 To enhance users’ engagement with our content, we combined clear calls-to-action like ‘Get Directions’, ‘Book Now’, and ‘Like Page’ with homely food photography. 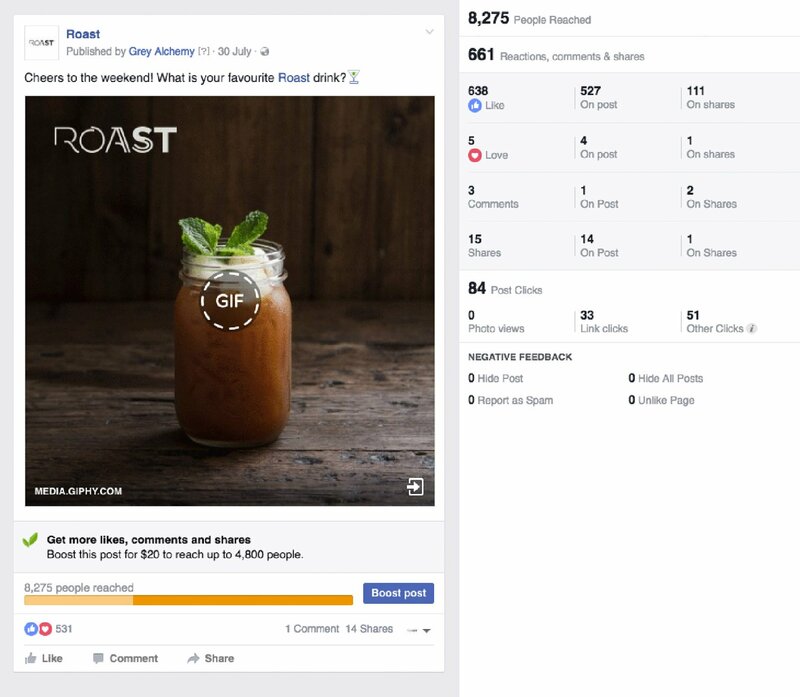 In addition, we also helped raise awareness of Roast’s sister brand Daily Roast through enticing menu teaser-posts targeting audiences who work and travel to Bhiraj Tower, EmQuartier where Daily Roast is situated. Subsequent to the awareness stage, it was essential to reinforce the distinctive ‘Roast community’ and keep the brand at the customers’ top of mind. To do this, we leveraged on Roast’s fascinating brand story. Quality is the priority, meaning that almost everything is made fresh in-house by well-trained chefs and the kitchen team with most ingredients sourced locally. With this in mind, we focused on the storytelling aspect of the brand, documenting the cooking process with relevant kitchen action photography, showcasing the passion behind every dish, from the fact that Roast grows its own coffee beans, makes its own pasta, or perfects its own tender corn beef from scratch. 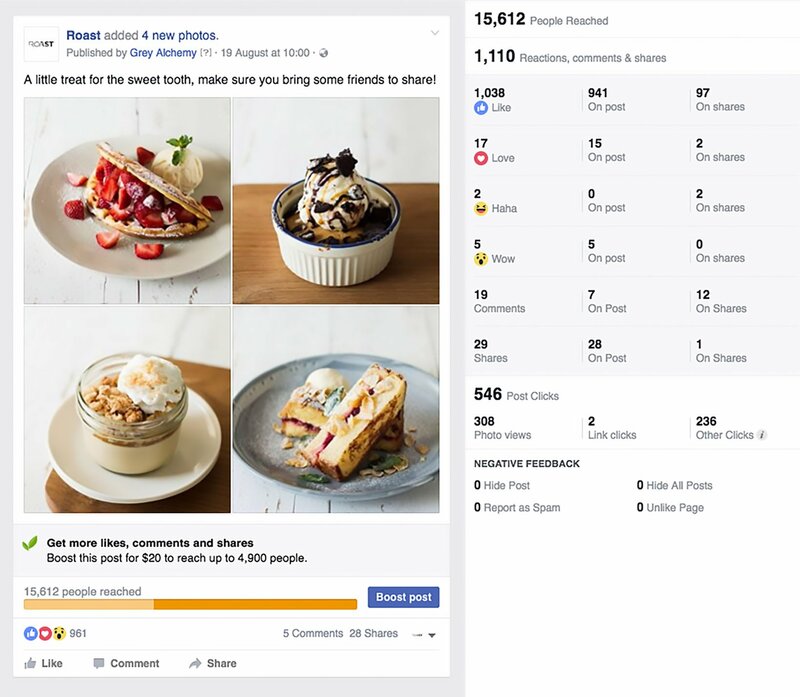 We explored different forms of visual content such as multi-picture posts to introduce new dishes, or animated GIFs to display different types of drinks and desserts, as well as carousel and video advertising to highlight their lunch set and dinner items. Beautiful close-up photography and intriguing copies were used to create teaser campaigns for new items. Blessed with beautiful professional photography as well as a plethora of content from avid Roast fans, we set out to maintain a casual yet stylish Instagram gallery. 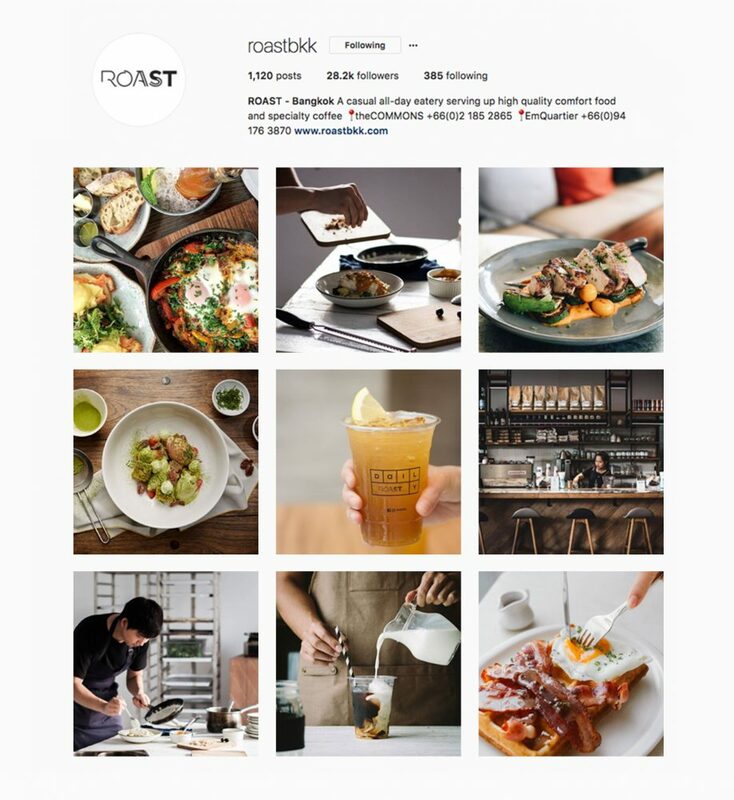 This gallery conveys the passion of the Roast team showcasing their dedication and craftsmanship behind every dish, and also fosters its Instagram foodie community through reposting of user-generated content with photo credits.